Our 21st Century curriculum is delivered in a blended, socratic environment that emphasizes mastery. We strive to provide a contemporary and personalized academic experience at the heart of which lies student interest and passion. Everyday at Discovery Prep our students read, write, engage with mathematics and computer science and play outside! Our Quest-Based Learning Experiences (see link) allow students to apply their learning in real-world, student driven experiences. *All of our college preparatory courses are accredited, UC approved with a wide array of honors and AP classes from which to choose. An important component of a 21st century education is the arts. Discovery Prep offers a breadth of experiences that allow students to explore various aspects of the arts: fine arts, dramatic arts, design, contemporary music, guitar lessons, film and digital media. Classes are based on student interest--separate fees may apply. 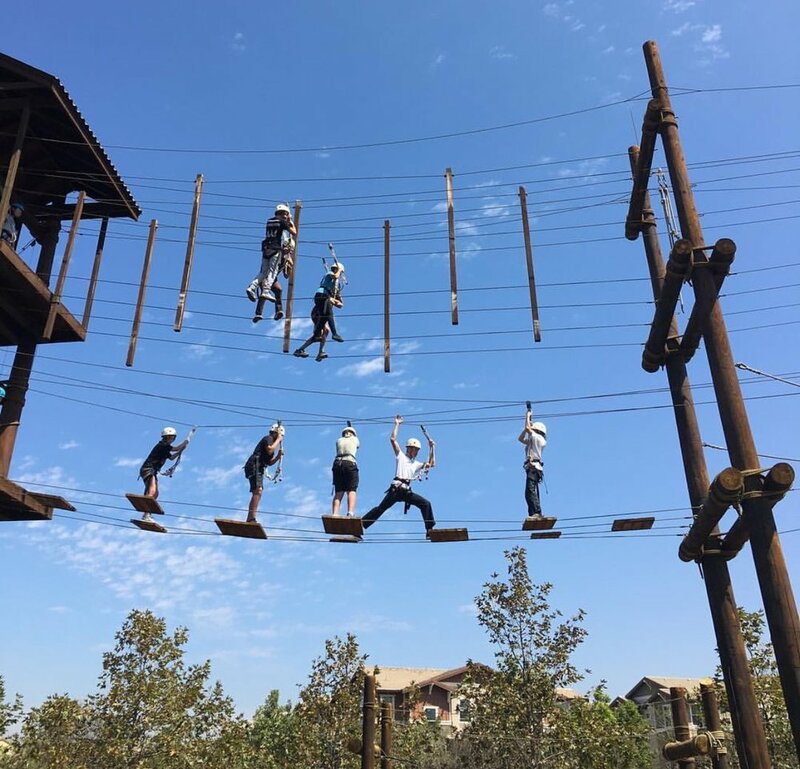 Discovery Prep provides a fitness and wellness program that includes indoor rock climbing, cross-fit training, board sports (surf, skate, paddle), along with yoga, meditation and a student-specific nutrition program. Our competitive sports teams participate in the Tri-way league and the Scholastic Surf Series. We field teams in surfing, volleyball and golf. We will add more sports teams based-on student interest. Our blended platform allows our middle school-aged students to learn a variety of languages or focus their efforts on one language. Our high school aged students are able to engage deeply with a language of their choosing (French, Italian, Spanish and even Computer Languages--Java and C++). Because languages are best learned when students are able to practice, Discovery Prep offers experiences for students and families to use the language they are learning. Foreign language programming is based on student interest; supplemental fees may apply. The Quest Based Learning Experiences influence the elective options at Discovery Prep. Within a Quest, if students are interested in learning how to develop a high-tech start-up, then our electives within that 5 week period will adapt to that experience; therefore, students may find themselves learning a programming language. Further, the QBLE's may influence a student’s apprenticeships. Given the above example, students may participate in apprenticeships with local high-tech entrepreneurs. In order to fully participate in the world, our students will inherit a core understanding of computer science. The foundational knowledge of a programming language is requisite. As such, Discovery Prep has a core Computer Science graduation requirement. Before and after school programming may be available--fees apply. *Discovery Prep's Core coursework exceeds NCAA and UC requirements (pending approval).